Akshay Kumar, who recently won the National Award for his performance in Rustom, will be seen next in Toilet: Ek Prem Katha, a satirical comedy directed by Shree Narayan Singh. The film features the Dum Laga Ke Haisha girl Bhumi Pednekar as the female lead, and Anupam Kher, Divyendu Sharma and Sana Khan in supporting roles. The film is written by Sidhharth and Garima, the duo who wrote the 2013 film Goliyon Ki Raas Leela Ram Leela. The trailer gives glimpses of the love story between Keshav (Akshay, who dons a lovable naive avatar this time) and Jaya (Bhumi Pednekar) - a couple who come together in an unlikely arranged marriage. Since the film deals with the issue of open defecation in rural India, comparisons with the 2016 Tamil film Joker have become unavoidable. 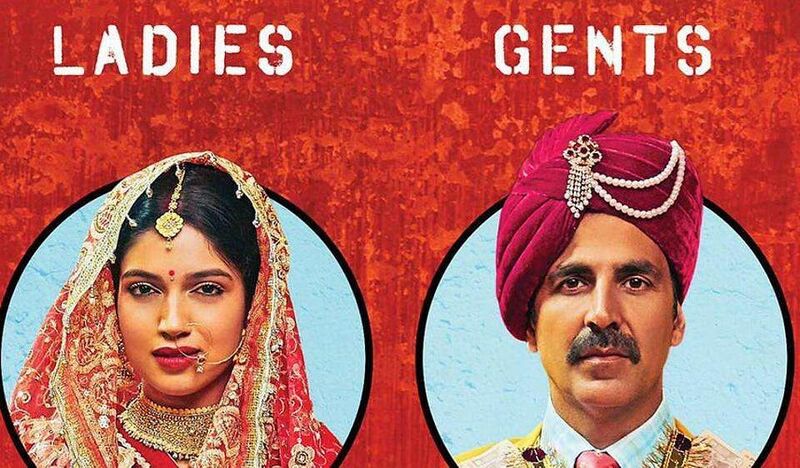 Toilet: Ek Prem Katha is all set to release on August 11.